Through various social media channels and the Moon Glow website, we love to share and showcase the amazing results we create with landscape lighting. The sites we highlight are of all shapes and sizes, although a perception exists that only large homes and estates have landscape lighting installed. To the contrary, we provide lighting solutions for any property. Our first meeting with a potential client quells these concerns early on as we discuss how lighting can be phased-in over several years and/or steps. 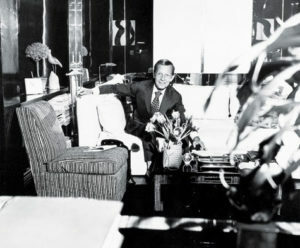 With close involvement of the homeowner, we discuss priorities of not just the now, but also the future. Perhaps a patio area is most-important to start, followed by the remainder of the backyard, and lastly the front of the property. It is most important for us to learn from this initial conversation what is your big-picture plan. From this we can develop a scheme for the infrastructure – namely transformer(s). Selecting the right size and location will not just help today, but down the road as we add on to your system. A transformer is the lifeline of any system, and as such it is critical to install something that will accommodate potential growth. Some sites may be better suited to have multiple transformers due to size or layout. Having an electrician provide new receptacles could come from this conversation. With the right transformer in place we can build you a lighting system that will suite your wants and needs, now and in the future. 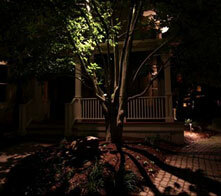 If you plan on adding landscape lighting to your environment, give Moon Glow a call to formulate your plan. This entry was posted in Landscaping and tagged landscape lighting, lighting installation, outdoor lighting on October 26, 2018 by moonglow. Moon Glow now offers a way for you to show your holiday spirit with your existing landscape lighting system! Red, Green, Blue and Amber colours are available to exchange in your up-light and in-ground fixtures. Call us today to pick your colours for the season! Short, dark, and colder days – all part of the Winter Season that no one enjoys. Moon Glow wants to shed some light on a way to brighten this time of year (excuse the heavy puns). Lighting for the entire Winter Season is a way to get the most out of your lights and bring a certain joy and pleasure to your household. Warm white is a popular choice. It’s a welcoming tone that blends well with other outdoor light sources, plus resembles the glow that emits out the windows from inside the home. Pure white is a strong alternative to compliment the season. This sharp white tone stands out and draws positive attention to your home. Evergreen trees are enhanced as the crisp colour brings a ‘pop’ to the natural blues and greens. Snow and frost will have an enriched appearance. Restaurants and businesses also benefit from attractive light displays that they can appreciate over the full-length of Wintertime. Look no further than Moon Glow Lightscapes to start your Winter lighting experience! This entry was posted in Christmas Lighting, Holiday Lighting, Outdoor Lighting Ideas and tagged Christmas lights, holiday lighting, outdoor lighting, winter lights on September 19, 2018 by moonglow. There might be a better way. A good contributor to what makes our success is the equipment and tools we use to produce great lighting results. At Moon Glow we are continually investing in items to make us more efficient, effective and productive. In 2017, a second bucket truck was added. With two of these types of vehicles in our fleet we are able to execute a great deal of holiday lighting installations on trees, homes and commercial sites. The large amount of on-board storage allows us to have a mobile warehouse of materials and tools for our landscape and holiday seasons. Each of these trucks is equipped with three ladders – one extension plus 6’ and 10’ step ladders. We also elected to add a wire tracker to our arsenal. As the name would indicate, this tool is used for locating wire. Using this tool could lead to finding so much more – like a buried light fixture. When it comes to servicing lighting systems this tool is invaluable when seeking breaks in the wire. Another benefit is the ability to map a site making future service calls easier with the knowledge gained from mapping. Not all of the equipment we use is owned. Our rental partners provide us with an array of tools to get the job done. Extended lifts are necessary when we want to reach beyond the 35 feet offered by our trucks. We have also taken advantage of narrow trenchers and vibratory plows to efficiently install large amounts of wire. It is important to us here at Moon Glow to be able to do the job right, in a tidy manner and on time. Having the right tools allows us to handle these tasks accordingly. If you want to see us put these pieces to work for you, call Moon Glow today. This entry was posted in Installation, Landscape Lighting and tagged landscape lighting, maintenance, outdoor lighting on July 20, 2018 by moonglow. The landscape profession continues to see and benefit from the trend of outdoor living. More homeowners are investing in decks, patios, gazebo, pergolas and other outdoor structures as part of their landscape. And many residential properties feature a fence surrounding the entire backyard. Lighting is a natural fit to this movement. Post lights placed on fences can provide a feeling of knowing the perimeter, plus offer safe passage along a path or backyard entry. In some cases, a post light can showcase garden plantings in a silhouette fashion, giving an elegant look at night versus the appearance during the day. 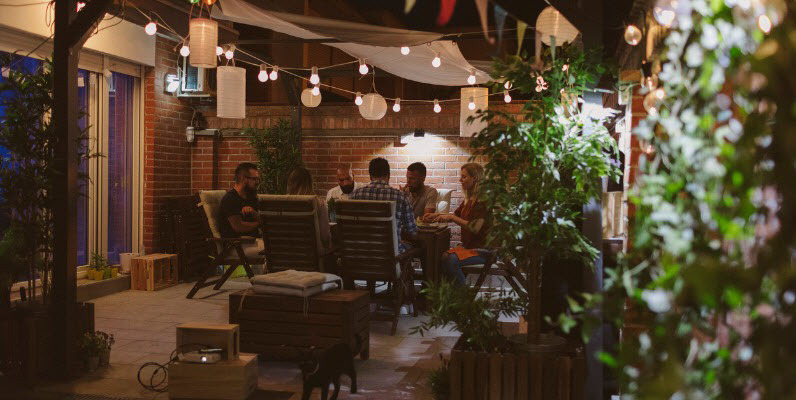 Directional down lights assist with functionality like barbequing & reading; step lights accentuate elevation changes; up-lighting trees adds interest, beauty and depth. We can look at specialized control options for these spaces as well. Perhaps a light switch for the barbeque light? If you invest in an outdoor living space, doesn’t it make sense to take advantage of it beyond sundown? Lighting will not only draw you towards the outdoors, but also keep you outside! Even in the cooler temps of late Fall and Winter, the inside vista will call your attention to the great outdoors. Are you looking for ways to brighten up your outdoor space? Call Moon Glow today. This entry was posted in Landscaping on May 22, 2018 by moonglow. Over the previous season we encountered a handful of landscape lighting systems that, since installation, had been left untouched. Needless to say, each of these sites required some attention. At Moon Glow we take a great deal of pride in our ability to install a great design for you. But equally as important to us is our capacity to service systems that we may or may not have installed. 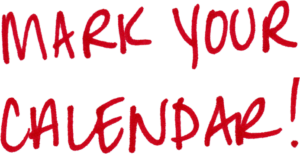 Like your furnace or air conditioner, a scheduled maintenance is a good way to keep everything in perfect working order. We understand that life gets hectic, so having your system in perfect working order ensures complete enjoyment during your down time. Safeguarding seals and sockets to ensure that dampness issues don’t arise. Cleaning the lens of a light fixture allows the bulb to present itself like it was new. We also check to see that the bulb is in perfect working order. From this service we move along to straightening and possible relocation. 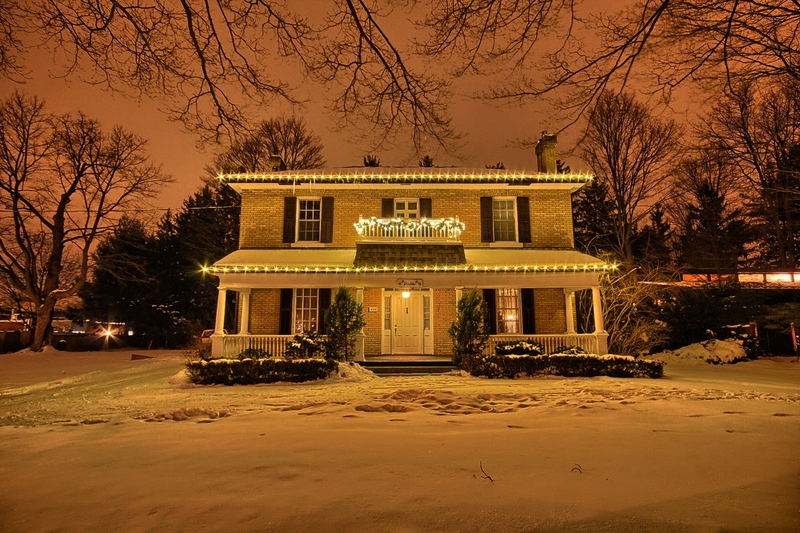 In our Canadian climate, the freeze/thaw cycle means ground-mounted lights may shift out of position. Moving fixtures may be necessary as the garden matures. Plants grow. Your lighting may require adjusting with this. This could even mean a bulb change or the addition of another fixture to capture a now-larger specimen. We highly value the importance of servicing tree-mounted lights. As trees grow, it is vital that we adjust the fasteners to keep the fixture from being in direct contact with the tree to maintain plant health. Wire fasteners see the same service. And last but certainly not least, don’t forget to replace the batteries in your timer! If your system is in need of a tune-up, please call Moon Glow today. This entry was posted in Landscape Lighting and tagged battery, care, landscape lights, lighting, maintenance on April 23, 2018 by moonglow. Canada Blooms is the premier event of its kind, featuring stunning landscapes constructed inside the Excel Energy Centre in Toronto. Every March several landscape firms showcase their talents, but also bring attention to the entire green industry. This show is also highlighted by floral displays, grower’s presentations, seminars and speakers. Each year the show presents a theme for the exhibits, and appropriately this past years was Oh! Canada. ‘Come Alive Outside’ was the title of the Wentworth-designed feature garden. Come Alive Outside is a nonprofit organization that works closely with partners in the landscape profession, as well as college horticulture and landscape architecture departments, in order to get people off the couch and back outside in communities across North America! For our part we installed copper light fixtures to accentuate the project and highlight several inspirational messages spread throughout the exhibit. 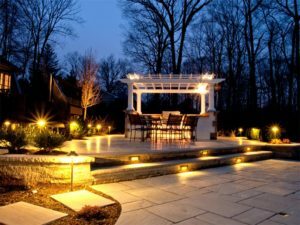 Lighting has become so prominent that the house lights at the show are minimized to better emphasize landscape lighting. This entry was posted in Landscaping on February 21, 2018 by moonglow. It’s been well documented that landscape lighting has a great impact on security and safety within residential properties. By creating safe passage, awareness of changes in elevation along walkways or just a well-lit area that provides a wall of light to keep the unwanted out, lighting lends greatly to the sanctuary that is your home. To take it one step further, we now have available to us a line of heavy duty lighting made specifically for the commercial and industrial security market. This line of simple fixtures is available in a finish similar to galvanized, and is rugged enough to take the site conditions expected. Area lights (similar in appearance to traditional path lights) can be fastened to the top of chain link fencing to give high, bright coverage. Rectangular wall packs are also available for areas that don’t have the fence to fasten to. Both styles of light fixtures draw a small amount of hydro as they are lit with energy efficient LEDs. These LEDs are a bright white colour to ensure high amounts of visibility to not only impact intruders, but to also positively aid those using the yard. This light colour is also most effective for visibility for security cameras. In summary, these fixtures are high quality, glare free and targeted light. For more information about this or any other landscape lighting ideas, contact us today! This entry was posted in Landscape Lighting and tagged area lights, heavy duty lighting, landscape lighting, low voltage security lighting, security lighting on December 15, 2017 by moonglow. Downlighting. In our opinion, when done right, nothing is quite as striking as downlighting. 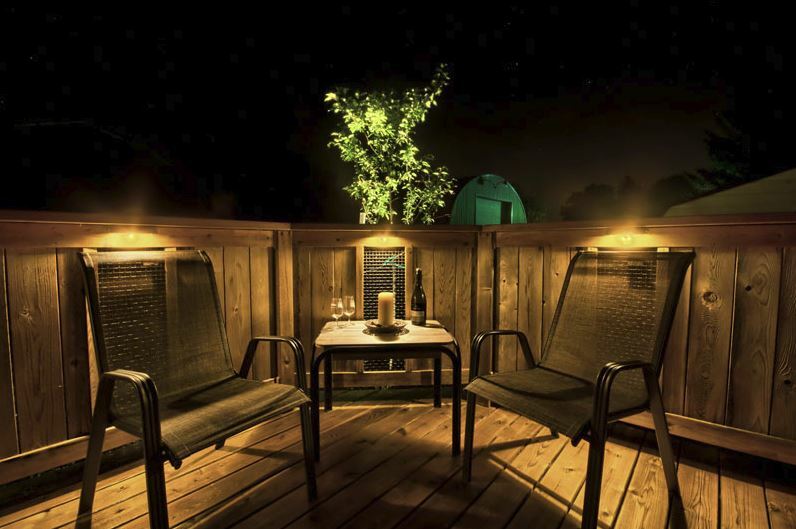 We look for options of downlighting from trees, soffits and other outdoor structures. From a tree, you will not only gain the obvious safe passage from this lighting technique, but also the allure of shadows from the foliage and branching. When trees are not available we go to structural mounting, always keeping in mind that the light source needs to be concealed as much as possible. Post and Under-Coping Lights. In many home scenarios, we find that there is a narrow pathway to the backyard that has the outside of the wall on one side and a fence on the other side. This presents another unique opportunity to light the path. Under railings, on posts or as part of stone pillars or walls are also very popular for path illumination. Last but not least is the most obvious – using a Path Light. Path lights are the most visible of any kind of lighting fixture, so we pay close attention to the style of your home, your input and any other property features to ensure a very complimentary product is installed. To see what we have in store to light your path and property contact us today! This entry was posted in Landscape Lighting and tagged downlighting, landscape lighting, outdoor lighting, path lighting, post lights, under coping lights on November 15, 2017 by moonglow.